A WordPress theme that gives you complete control over creating landing pages that rank better and convert well. Captivate makes you stand out from the crowd. Built-in homepage and landing page templates allow you to create landing pages that have a stupendous impression on your visitors which maximizes conversion. Captivate is built on a rock-solid boilerplate that optimizes your website content for top-notch on-page SEO, which inturn results in high-conversion. Captivate is fully WooCommerce compatible. So, if you are planning to set up a store on your website, Captivate gives you everything to start selling right away! 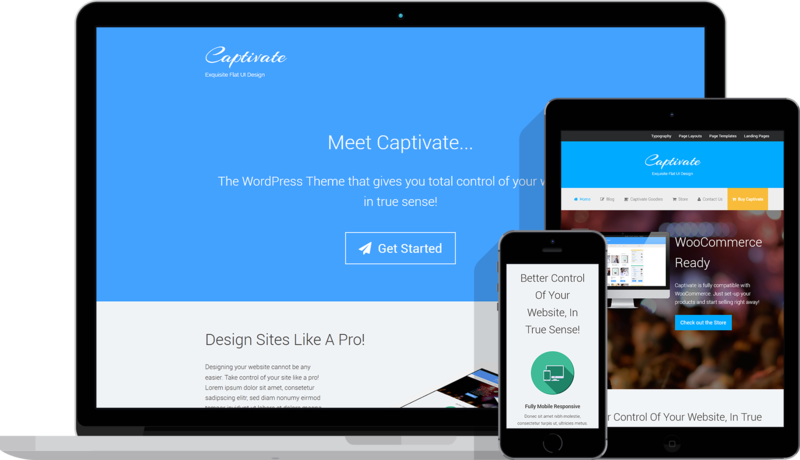 Captivate offers you Landing Page Sections where-in you can put in content just as you do in the WordPress editor. The content you add to these sections will show up on the page as different full-width sections. Just to let you know, the section you are currently reading and all the above you see are created using the landing sections that Captivate offers. Adding to this great feature, there is yet another one. Landing Page Settings allows you to hide or show different elements (site header, site footer and almost everything to make it look like a minimal distraction-free landing page) on the page. This necessarily means that you can turn any page or post into a beautiful landing page with just a few clicks. Landing Page Settings are available for desktop and mobile viewports individually, which can be useful if you would like to display different content to users visiting your site mobile and desktop. 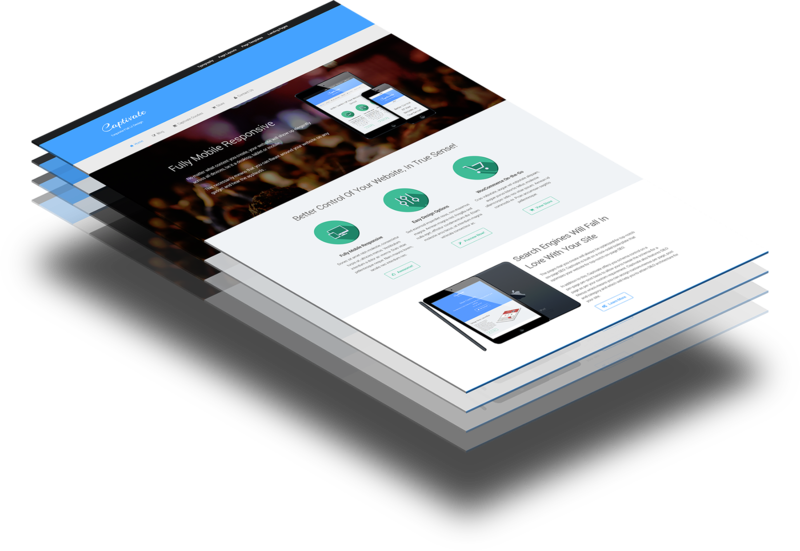 Captivate is a fully dynamic mobile responsive WordPress theme. It features a responsive design that adapts smoothly to different screen sizes. Your content will look beautiful on smartphones, tablets, laptops, large desktop screens and all the devices. The true fluid responsive makes sure that your website displays perfectly on all these devices, without the need for separate mobile themes, plugins or stylesheets.